Featuring - Kaia Pilbeam-Smith, Amanda Fuller, Dale Smith, Luke Martin, Meghan Parr, Niall Erskine, Erica Drew, Phil Perry and Chris Smith. 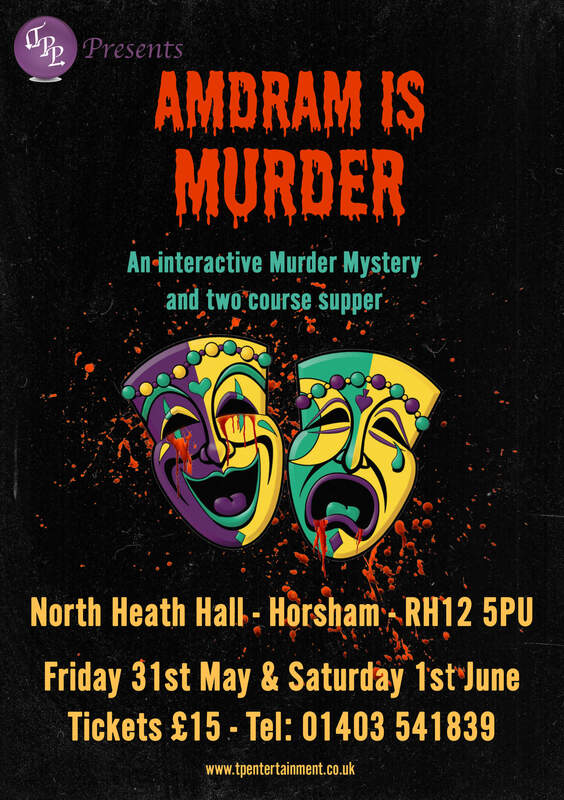 Turning Point present an interactive Murder Mystery evening which includes a two course supper and coffee. Can you figure out whodunnit?? 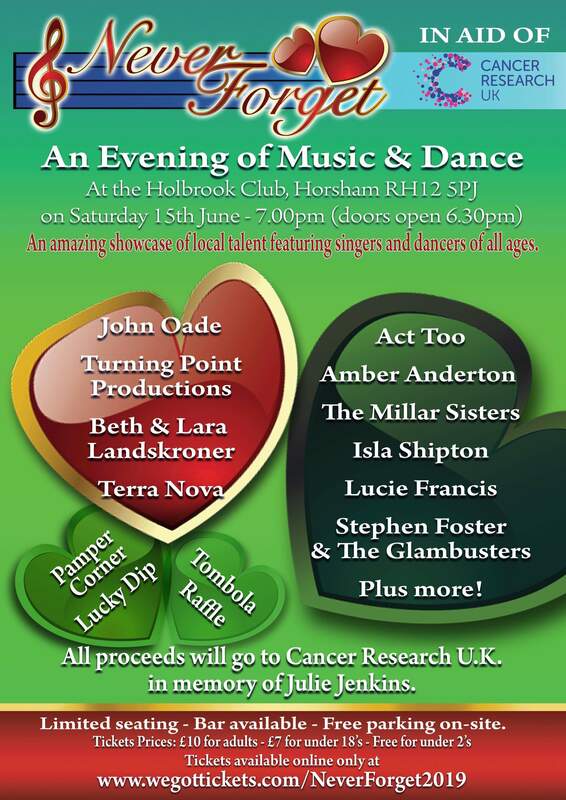 We are delighted to be taking part in this Charity Fundraiser for Cancer Research at The Holbrook Club, Horsham. Joining other local talent we will be show casing some Hamilton tunes! AUGUST 2019 - NO REQUIEM - A celebration of the modern musicals in aid of the charity REFUGE. DECEMBER 2019 - THE WRONG PANTOMIME - and other festive entertainment. Featuring - Raife Smith, Erica Drew, Claudia Erskine, Dale Smith, Luke Martin, Phil Perry, Meghan Parr, Kaia Pilbeam-Smith, Ella Shuck, Stephanie Somerville, Cath Mattison, Niall Erskine, Mia Hathaway and Dolly Turner.